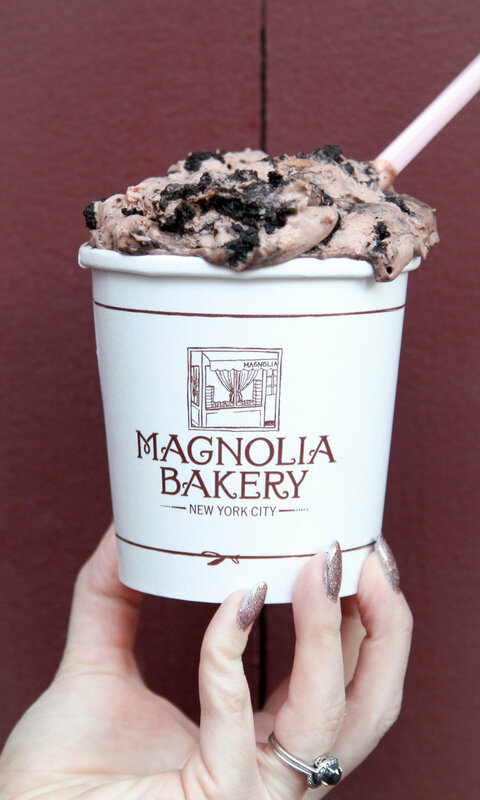 Fans of Magnolia Bakery have yet another reason to swing by the iconic New York sweet shop: as of earlier this month, a chocolaty spin on its iconic banana pudding has been added to the menu. For $3 (more for larger sizes), you can try this cocoa-rich treat composed of Oreo wafers, banana slices, chocolate pudding, and chocolate shavings. Before you swing by one of the bakery’s nine locations to try it for yourself, here’s what we thought: not surprisingly, given the description and ingredient list, chocolate is the dominant flavor here. If you’re partial to chocolate cake, ice cream, and the like, absolutely go for it. If, like me, you prefer fruit-forward desserts, stick with the classic (it really is as good as its reputation suggests). And, if you stop by the bakery this Spring, be sure to also sample another recent addition to the menu: the key lime icebox bar ($6).